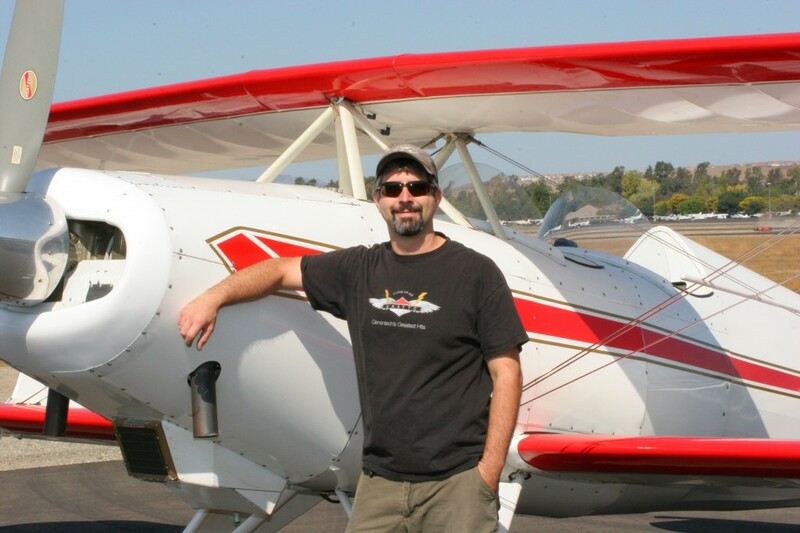 Message from Mike | Mike's AeroClassics, Inc.
My name is Mike Flagella and I have been active in aviation for over 20 years. As a lifelong aviation enthusiast, I am passionate about sharing the wonders and experience of flight with others, and inspiring them to participate in general aviation. I launched Mike’s AeroClassics with the intent of preserving, restoring and flying America’s timeless aircraft. I got my first thrilling ride in the mighty Cessna C-150 and was officially hooked with the excitement of flying, prospects for travel and that view! Afterwards, I was always looking skyward. Da Vinci was right: I had been there and I longed to return. Just ten short years later, with my flight training only interrupted by college and graduate school (I have BS and PhD degrees, both in molecular biology, and a background as a scientist in the biotech/pharmaceutical industry), I finally received my private pilot’s license. I soon earned my tailwheel and high-performance endorsements, and after many hours of practicing the aerobatic lessons of Duane Cole’s Roll Around a Point, purchased a beautiful, already-flying Steen Skybolt (the inspiration for my logo! ), which further opened my eyes to the worlds of experimental aircraft & aviation maintenance. I’ve been a member of EAA and AOPA for almost as long as I’ve been flying. I’ve always loved learning how things are built and how they work, and I have enjoyed the multitude of tasks required to keep the Skybolt airworthy. In 2011, I decided that it was time to hang up the proverbial lab coat and pursue aviation full-time. Besides maintaining my own airplane, I started assisting experienced A&P/IA mechanics with their maintenance and inspections. These mentors provided invaluable training on everything from Champs to T-34s. While working part-time at Livermore airport, I attended EAA SportAir Workshops, welding and metalworking classes, and a local Part 147 school to round out my training. I earned my Airframe and Powerplant certifications in 2014 and shortly thereafter, Mike’s was born. My goal is to make you as p.r.o.u.d. of your aircraft as I am to work on it, and I look forward to the day when Mike’s can help you safely “slip the surly bonds” and enjoy our beautiful blue skies once again. See you around the patch! PS. Please feel free to leave comments or questions through the contact form or by emailing me. I love hearing what you have to say. Welcome to Mike’s AeroClassics, Inc.